Here are the current (Active) MLS listings of homes for sale in Cullen Country. Call me at (512) 913-1557 if I can assist you. Neighborhood Location: Cullen Country is located on the south side of FM-967 between the City of Buda (east) and the intersection of FM-967 with FM-1626 on the west. The main entrance is at Cullen Blvd. This table provides an overview of real estate market activity in Cullen Country over the past 8 years. Cullen Country Buda real estate market data is from the Austin Board of Realtors 1/1/2011-12/31/2018. 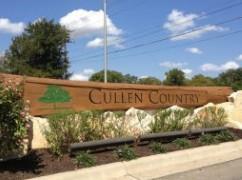 Cullen Country is a relatively new community located on the west side of Buda, TX. All of the homes in Cullen Country (except the original Cullen homestead built in 1973) were constructed from 2004 through 2007. The builders were two well-known Central Texas builders: Mercedes Homes and D.R. Horton Homes. Homes in the community range in size from 1,700 sq. ft. of living space to over 3,100 sq. ft. In September of 2013, Buffington Homes began work on an approximate 20-home addition to Cullen Country. These homes are now complete with homes situated on wooded lots on the old Cullen homestead property (mentioned previously). The Cullen Country neighborhood is an attractive one that features not only nice homes, but also many trees, a 24-acre neighborhood park (owned by the City of Buda), walking and jogging trails and a children's play area. 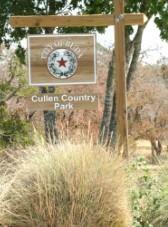 Cullen Country residents have access to Austin via FM-967/FM-1626, and via IH-35. The City of Buda, though growing in size, maintains a small-town feel in many respects, especially in its historic downtown section. In the past several years a number of shopping and eating facilities have been added along the IH-35 corridor, including Cabela's Outdoor Store, Chili's, a Super WalMart and more! The Cullen Country HOA maintains an active and informative neighborhood website. Homeowner membership in the HOA is required. Key taxing entities include the Hays CISD, the City of Buda and Hays County. Students living in Cullen Country attend schools of the Hays Consolidated Independent School District. If you are considering a home purchase in Cullen Country, you should check with Hays CISD to verify which schools are currently assigned to Cullen Country. Attendance zones are occasionally redrawn.